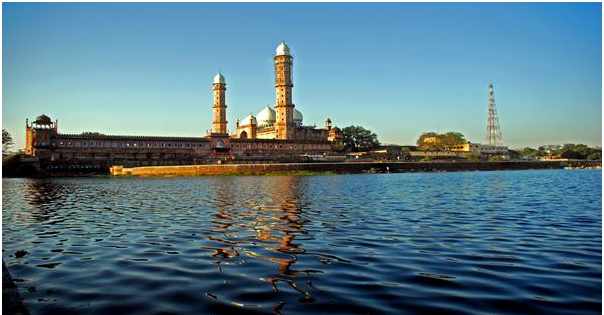 Bhopal is one of the star attractions of Madhya Pradesh and not to mention India. It is one of the most frequented tourist hot spots for a number of reasons. The Sanchi Stupa: This is one of the most revered locations that you will come across in Bhopal. All tourists who stop at Bhopal make it a point to visit the Sanchi Stupa at least once. You can book a car or take public transport to reach this place which is about 45kms away from the city. The stupa here is believed to be one of the oldest stone structures in India and is one of the must visit places for Buddhist pilgrims. The Upper Lake: Bhopal is a city that abounds in natural beauty and the Upper Lake is surely one of those places that are appealing to the senses. Also known as Bhojtal this artificial lake was built under the orders of Raja Bhoja. It is also locally referred t as Bada Talab, since very near to the Upper Lake lies the Lower Lake or Chhota Talab which was built a few centuries later. The Upper Lake is a famous haunt for those who love to spend some time in solitude as well as for bird watchers. The Bhimbetka Caves: Book a car from one of the hotels in Bhopal India and make your way to the Raisen district. This is place, about 46kms away from the city, where by chance more than 400 caves where unearthed that housed pictures and drawings dating back to the days of the early man. Historically this is one of the most important places in India. People travel from far and near, just to get a look of these caves. These caves help in tracing the evolution of man as well. The Udaygiri Caves: This is another series of caves that are located in Vidisha, which is just a couple of kilometres away from the city. It is believed to the oldest hindu temple caves that are found in the country. The Archaeological survey of India takes care of the ruins that are found in this place. Van Vihar National Park: Spread over an area of almost 445hectares, the Van Vihar National Park is the best place to visit if you are interested in exploring the flora and fauna of Bhopal. Located right in the heart of the city, this national park is home to more than 100 species of plants and animals that are found in this region. So when you plan your trip to Bhopal, make sure that you include these top 5 places in your list!